RONKONKOMA, Long Island (WABC) -- A serial thief who has been robbing Long Island businesses with a knife or a machete has apparently struck again. 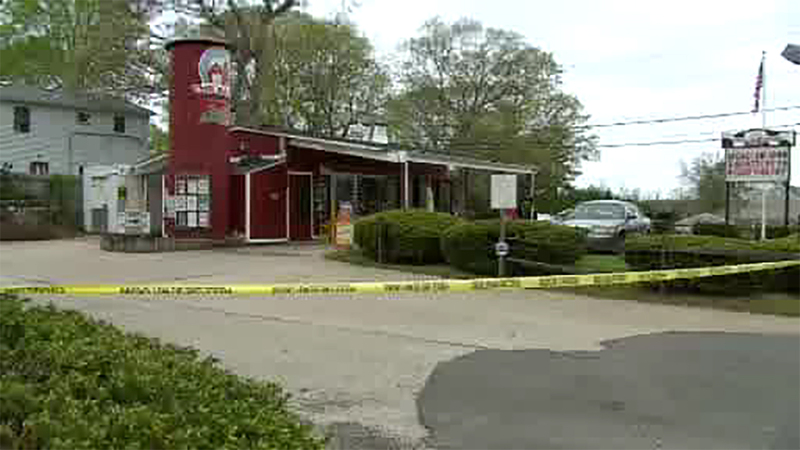 Police say he targeted a convenience store Sunday morning called 'The Barn' on Hawkins Avenue in Ronkonkoma. Detectives believe the robbery is part of the pattern that now includes 17 knifepoint robberies across Nassau and Suffolk Counties. Police believe the thief may be robbing to fuel a drug habit. Suffolk County Police Commissioner Tim Sini said the investigation into the rash of knifepoint robberies, which started in February, is being hampered by poor quality surveillance imaging and the suspect's uncanny ability to commit most of his robberies in less than one minute. "These are quick crimes. He is, for the most part, in and out," said Sini. "We are doing what we can to enhance patrols around establishments that are fitting his target." Sini is now urging the owners of commercial establishments to check their video surveillance systems and consider upgrading them, if necessary, though he refused to discuss what, if any, leads are being pursued. Investigators in Nassau and Suffolk counties said they are sharing leads and resources. Uniformed and undercover officers are assigned to watch stores that might be targeted.